Pol Roger is named after the founder, who started selling Champagne in 1849 at age 18 to help support his parents and siblings. The family soon moved into Epernay, the seat of France’s Champagne region, and throughout the 20th century one generation after the next took over the firm. 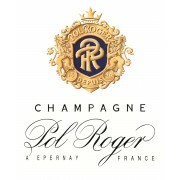 In the 1940s Pol Roger Champagne became Winston Churchill’s Champagne of choice. Today the firm is still run by descendants of the founder and Pol Roger still makes a Cuvee Sir Winston Churchill in honor of Churchill’s great affection for Champagne in general, and Pol Roger in particular. 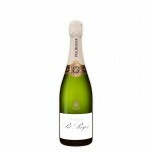 RP92 Straw yellow and with a golden hue in color, the Pol Roger NV Réserve Brut displays a brilli..